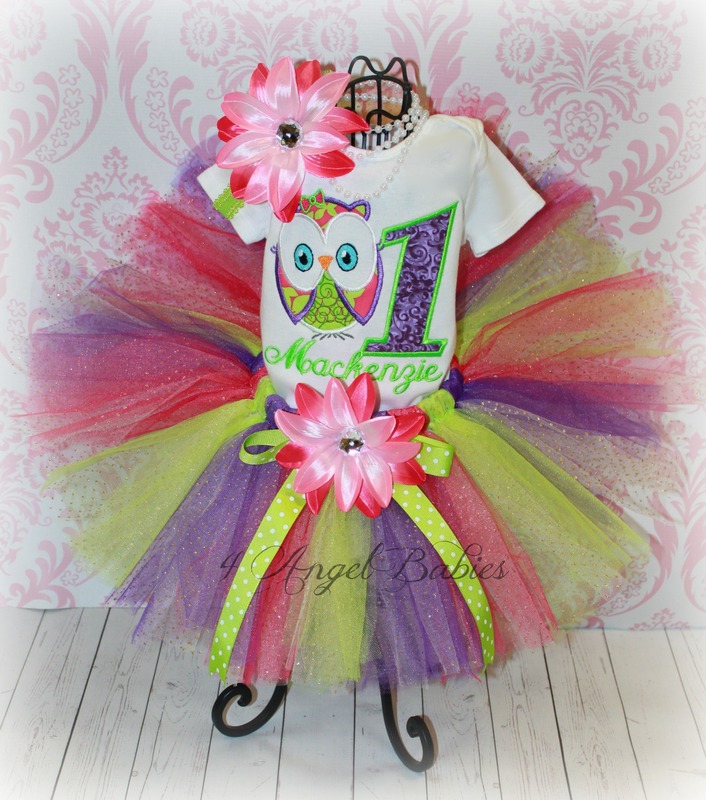 Over the Top Owl Girls Birthday Tutu Outfit Purple, Lime & Pink - $54.50 : 4 Angel Babies, Custom Creations for the Angels in your life! 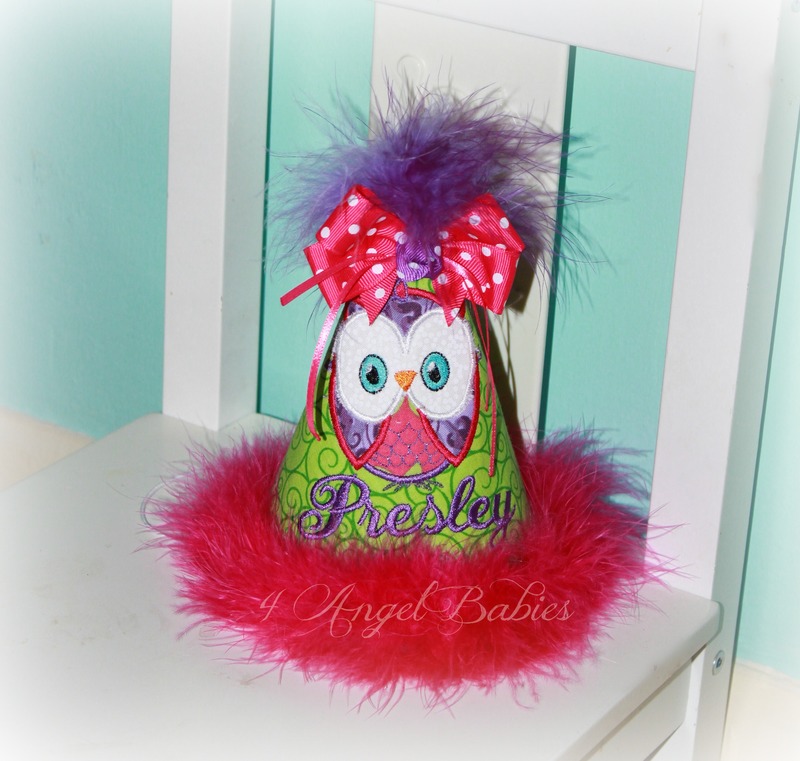 This precious girls birthday Owl Tutu Outfit is made especially for your angel baby with layers of soft lime green, hot pink, and glitter tulle! Top is embroidered with multiple appliques and coordinating fabrics. 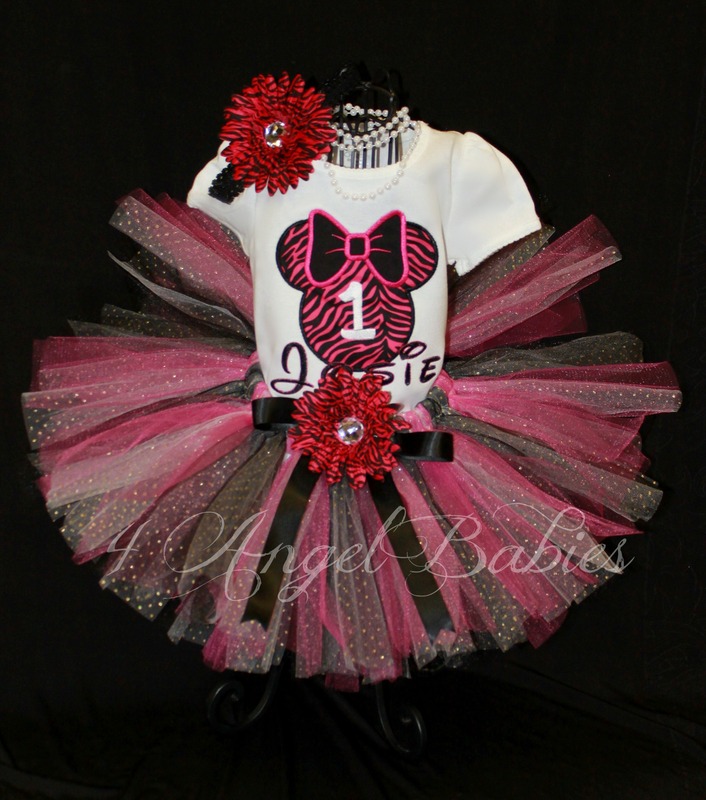 Personalized with name, number, size, and colors of choice. 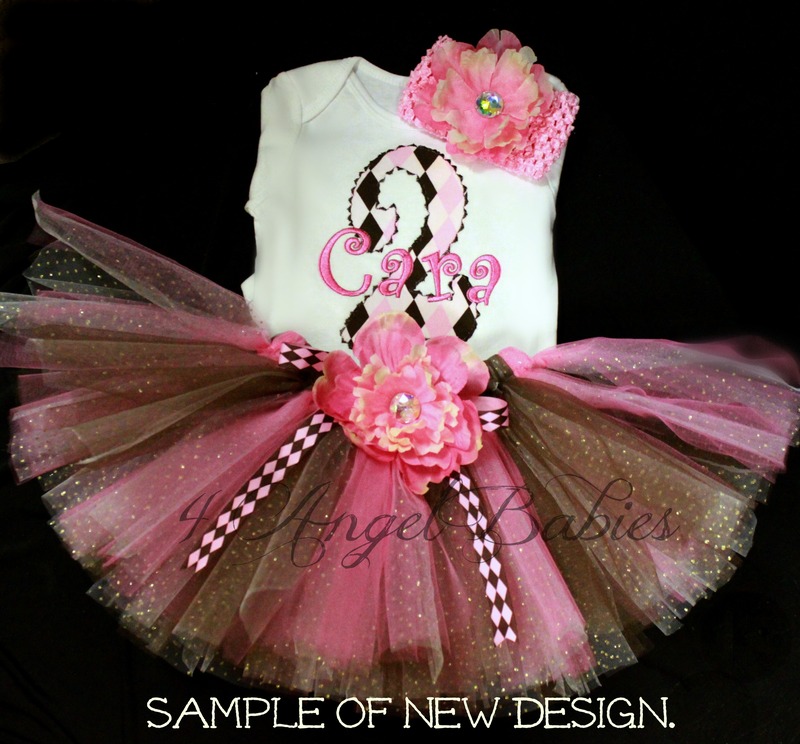 Includes tutu, embroidered top and matching hair piece. 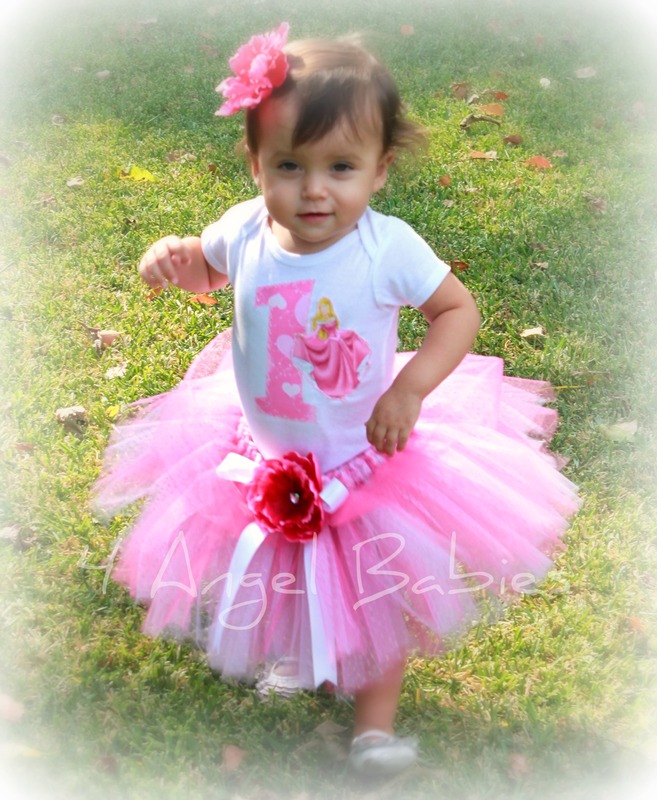 Let your little angel be a princess on any special occasion, birthday or photo shoot with one of my adorable tutu outfits. 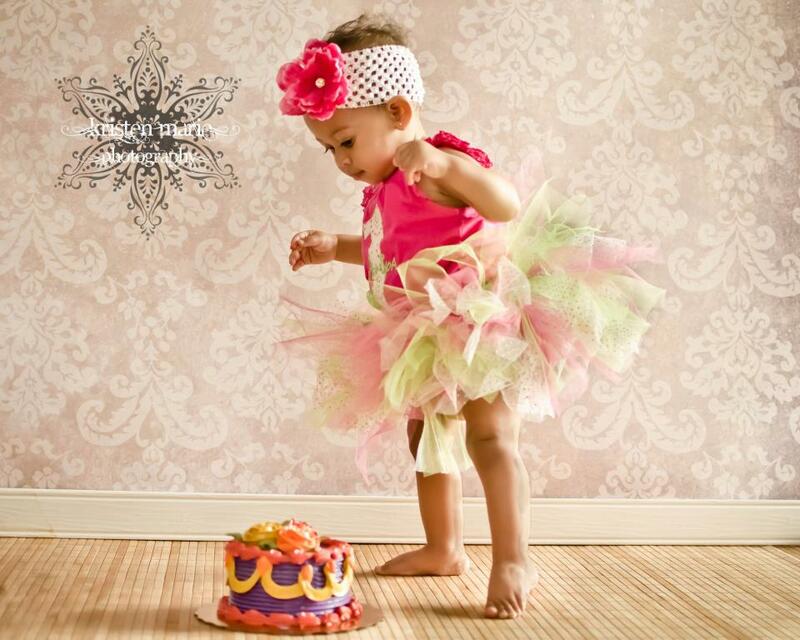 Bloomers are suggested for wearing under tutus. Matching birthday hat and bib also available!